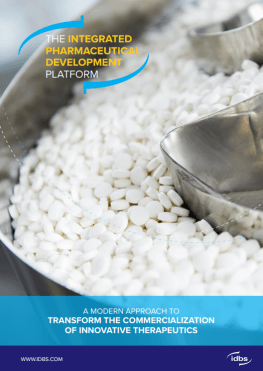 Download this whitepaper to learn how to accelerate the development process, reduce costs, improve quality, and enhance your intellectual property. The right tool for process development. The IDBS E-WorkBook Cloud for Bioprocess – our Bioprocess Execution System (BPES) – is specifically designed to meet the challenges faced by biopharmaceutical professionals.